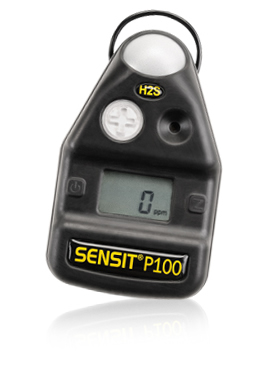 Detects Hazardous Levels Of Carbon Monoxide, Hydrogen Sulfide, Oxygen or Hydrogen Cyanide The SENSIT® P100 hand-held detector has high and low alarm levels through audio, visual and vibratory warnings. TWA and STEL alarms are also included, as well as alarm-event data logging. Durable rubber-coated housing withstands incredible abuse and is nearly waterproof.